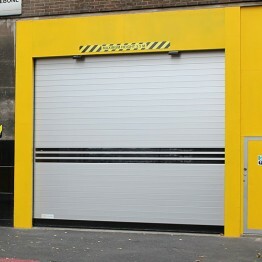 As the name stands, High speed doors works at very high speed as compared to other industrial doors. 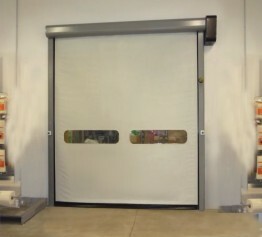 They are mainly used for protective environment where there is need of quick closing and opening of door inorder to maintain the inhouse temperature. 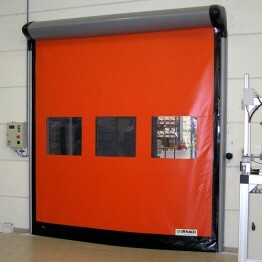 It has special PVC fabric which rolls to the overhead hood driven by motor on Push-Pull or Gravity driven technology. 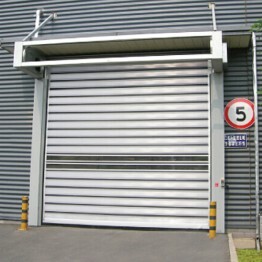 They are designed to required wind load, Temperature, Speed and Frequency of operation as per need of the customer. 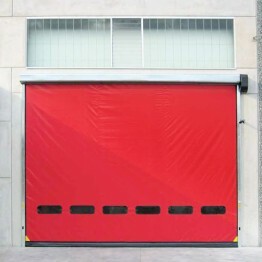 They are also called as Rapid roll doors or High Performance Speed Doors. 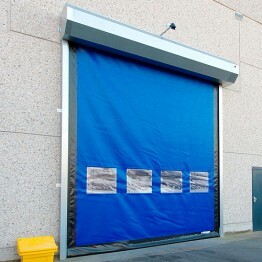 They can be installed with various automation options such as Photocells, Magnetic Loop, Pull Chord, Radar & Access Control systems as per client requirement. 5. Hyper & Retail Markets, Malls etc. 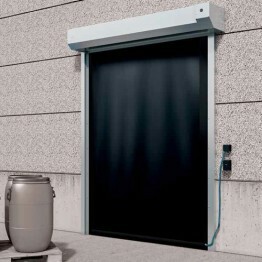 High Speed doors are available for Indoor, Indoor-Outdoor, Outdoor & Atex ( Explosive sensitive) environment. 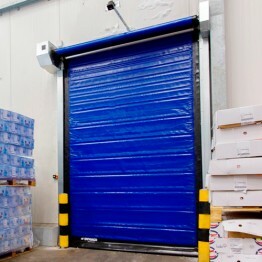 We supply & Install High Speed doors from Dynaco Entrematic (Belgium) and DoorHan ( Asia & Europe) in Central and Eastern Region of the Kingdom.